Anon wrote on 16 July @ 12:50 "there's no getting away from the fact that the lower the number the easier it is for people to remember." I'm always intrigued by this claim. It's a major belief of, for example, Trent Barton in my part of the world and is repeatedly produced to justify service renumbering's and renaming's countrywide, but I've yet to find any bus company senior manager or marketing whizz who can actually produce any evidence to show that this claim has any factual base. I've repeatedly been told something to the effect of "Oh, but it's obvious, isn't it? ", which is about as evidential as Anon 12:50's claim that Western Greyhound's numbers were confusing just because they all started with a 5. (Anon would, logically, have found them just as confusing if they were all closely associated two-figure numbers starting 8 - as four of his seven examples were). I do strongly believe that the industry should be doing everything possible to make it easier for people to travel, but pseudo-science (often by assertion) about numbering (see note 1), and marketing-dross such as Trent Barton's insistence on replacing groups of service numbers with names which then get service letters (see note 2) or misleading branding (see note 3) really don't help! Oh, and don't get me started about companies which use "X" prefixes to mean nothing at all. If they don't mean anything, why use them? Perhaps I was spoilt as a child of the pre-deregulation West Midlands where an X prefix meant limited stop, and suffixes were A for anti-clockwise circular, C for clockwise circular, E meant an exception to the norm (short working, extension or diversion to a depot or factory, i.e. check with the driver) and that was pretty much it. Note 2: A perfect example is "the threes" out of Nottingham where buses show only "service number" A, B or C because heaven forbid they should show the route number 3 with those letters; who wants a bus displaying 3A, 3B or 3C? TrentBarton, of course, are only a "really good bus company" if you're in their marketing demographic and like their way of doing things; the rest of us can go hang as far as they're concerned. Note 3: In central Nottingham last year I overheard a man ask two middle-aged women where he could get a bus to Long Eaton. Apart from the fact that they misdirected him to the bus station when it stopped just round the corner, the really interesting bit to me was that the first woman told him that he'd "be wanting the 247, it's a purple bus", only for the second woman to contradict with "No, it's the 5, it has been since I was a girl". Their whole conversation left me reflecting on two things: first, don't be _too_ clever in your marketing, because for every person who it attracts, another will likely be confused, and second, never underestimate the sheer staying power of long-standing service numbers, even if as a manager you think they're just bits of marketing. p.s. Apologies for taking so long to post this comment - like all good transport worker/enthusiasts, I spent the weekend playing with historic vehicles rather than the ones the day job insists I use. Thanks for this comment, as it raises ups some interesting points which I know a lot of readers get excited about! So is it better to keep to the traditional numbers for services? If so, then how far do you go back? I know quite a few people didnt like the X80 being lost when Stagecoach took over and just kept the whole group or services as "Gold" Although at the time they couldn't use the X80 as First were still running theirs, only giving it up after SC had already registered their service. At first the SC Gold was even more confusing as it included the Totnes Dartmouth route as well. Its now settled down as a straight Plymouth Totnes Torbay run. At least its nice and clear on their buses where they are going, but it still looks odd not having a route number. I know several people who wanted SC to revert back to the X80 as that was the proper number, but many of us remember the it as the 129 before it got the fancy X! SC have re-introduced a few old route numbers recently, the 6 group of services in and around Okehampton for example. At least Plymouth Citybus retained their route numbers when they rebranded their Flash routes 21 21A but in preparation for the new Yellow Flash the long standing 43 was merged with the 50, with the whole route becoming the 50. Easy for me as an old 50 passenger but still confusing for passengers of the 43 and also passengers at Derriford looking for the bus to Eastover, seeing it waiting there with Ernesettle on the front! Then of course we have the latest set of changes which saw the 576 renumbered 12. At the time they couldnt use the 76 as that was still being used by First who have now announced its coming off so the long standing number 76 will disappear. Of course it helps if the bus can display a full number and destination! So what do people think? Do route numbers matter that much? Where's this "operators can't use the same number" come from? I'm sure I've read on your blog this isn't the case, look at first and go Cornwall's route 79. Its not that they cant, its more a case that sometimes they wont want to. WG renumbered theirs into the 500s which made a lot of sense so when First got them back they often just dropped the 5. The 76 wasnt really available as its still in use by First so I can see why Citybus didnt use it. We did in Plymouth have twp service 5's for quite a while, both Citybus and First using the same number on two different routes. Graham - the Plymouth to Torquay route was the 128. The 129 went to Exeter. Also, all the WN Cornish routes were numbered in the 5xx series back in the 1980s. Management of the new WN from 1983 withdrew the long numbers and reverted to the more traditional ones. The 501 took its rightful place a number 1 and remains that way today. 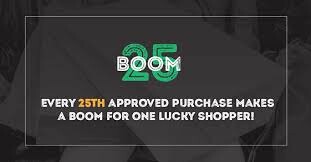 I was reading my post again this morning when it went live and I had that awful feeling I had the 128/129 the wrong way round! I had forgotten that the 500s were from way back. I do now remember when the newly split Western National companies renumbered their routes. I think in Somerset they lost 400 from their route numbers at about the same time. It was the late 60s or very early 70s that the Cornish routes became 5xx. Somerset numbers were 2xx and Dorset 4xx. South Devon 1xx and Exeter/North Devon 3xx. As the bod who posted the original comment, I wasn't expecting to have provoked such debate. However, I don't disagree with what Anon has posted above at all. Okay, I don't have evidence to assert that low numbers are good and high numbers are bad other than my many years of living/working/riding in different parts of the country. It simply seems very obvious - why would you number a route (say) 485 if 1 or 2 was available in that area? That said, I don't advocate renumberings for the sake of it, there's a lot of goodwill in long established numbers but circumstances change and routes do need to alter. Sometimes, there's a need or opportunity to recast a route and a new/better number might be a useful tool to help relaunch the new service, so why wouldn't you take it? A new number, with branded buses is a strong combination to indicate that something has changed and to make things stand out to both existing passengers and potential new ones. PCB recently merged the 43 and 50. They kept 50 for the new route. Why not 43? Why not a new number? Perhaps '50' was felt to be 'nicer', 'rounder', or more memorable. Doubtless some people would have been confused or inconvenienced whichever way they went. Yes, I found WG's numbers confusing. Was I the only one? I'm not saying it was a major problem as I tended to just ignore the first '5' but I did miss a bus once because, I'd misremembered the number of the service I wanted amongst various different routes going past. In fact, Newquay is a good example generally, partly due to the range of different Newquay - Truro routes, some of which take forever to get there. At one time First's direct routes were the X89 and X90 which whilst not limited stop, were much quicker (the 'X' indicating 'direct' presumably, although to my ire, they never explained that in marketing or in the timetables). Then the 'X' was dropped for no apparent reason. To me that was something of an own goal and in marketing terms, a missed opportunity to show that these routes took just 45 minutes instead of 90, even if that same opportunity hadn't been taken in the years previously..
People assume that 'X' means limited stop but in many cases it can just as easily mean 'faster' or 'direct'. The X38 is no longer limited stop, so should it be renumbered 38? Or is it better to stick to the familiar number even if that does retain the 'X'? It's not as though there's an alternative slow Exeter - Plymouth route, these days, either. Damned if they do and damned if they don't, I guess, although 'X38' sounds far cooler, more memorable and interesting than a plain '38'.... to me, anyway.... I have no other evidence to support that view! There is a variety of practice. London Transport has moved over the years from using letter suffixes after numbers -- at one stage, they had routes up to F -- to only using plain numbers and giving a separate number to each route variation which suggests the London Transport view is plain numbers work better. But elsewhere we have cities such as Southampton, where First and Go Ahead, go head to head where both have 1, 2, 3, 4, etc, and others, such a yellow bus in Bournemouth which still uses letter suffixes after the route number. All I am able to conclude is that practice is mixed and there is no conclusive evidence one arrangement works better than any other. A good local practice in Plymouth was to use D to indicate dockyard journeys and, if I recall correctly, F for football specials. Maybe there could be S routes, for school days only services (and warnings about noise levels!?).. Apart from the fact that London Transport hasn't existed for 15 years, you're absolutely right that TfL regard plain numbers to be simpler than those with prefixes or suffixes. Seriously though, route numbers is always going to be a vexed subject, with good arguments in favour of both established and new numbers. There will rarely be a solution that pleases everyone. An established number retained for a substantially different route can cause as much confusion as a new number for a route that is basically unchanged. I admit I was a bit taken back as Stagecoach's decision to not have a route number on GOLD. Where the concept has been used in the past route numbers have been retained (albeit sometimes changed); Torquay - Plymouth was the first time that GOLD has been used as the sole branding. Nevertheless it did seem to signify that this was going to be something quite different to the First X80 it turned out it was destined to replace. 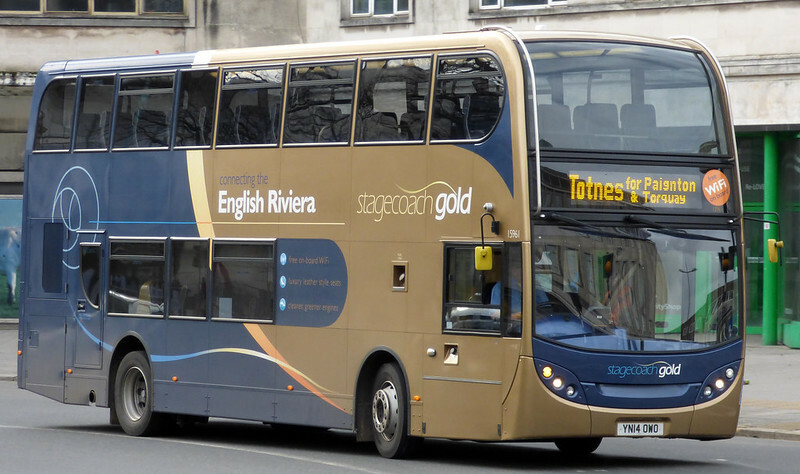 Now though there is potential for confusion in Torquay as most journeys on the X46 Torquay-Exeter now use gold buses, and there could be even bigger problems should Stagecoach ever decide to "gold-up" the 12. Re: the X38 - it may stop at all stops on route. However there are substantial sections of this route where there are no stops, so I think the X-prefix is fair enough. Perhaps it should be extended to Exeter Airport - and numbered A38? There is no reason why an operator cannot use the same number as a competitor on the same service. It's a long time ago, but I remember when Plymouth City Transport decided to have a go at First (or was it still Western National?) the first time round, they went to Tavistock as an 83. I can’t remember what they used in Saltash and Plymstock, but I am sure it was the same numbers as the existing service. Where Gold might start to get confusing is if they went Gold on the Tavistock route - although that might be a good place to introduce up-market vehicles. Any bets on Saltash going Blue Flash? As the Anon who posted the comment Graham has kindly chosen to select as worthy of a post all its own, I'm pleased and impressed by the sensible responses so far. I'm about to leave for work so can't yet post proper responses (I will try to do so later), but for the moment I just want to say that I agree with the general thread that numbering isn't essential in its own right and shouldn't be stuck in aspic, but equally change shouldn't be made for change's sake. I have a feeling that the bus industry nowadays views route numbering as just another basically unimportant thing that can be played with at will whereas I'd suggest it's about providing quickly identifiable information, suggesting connectivity, identifying networks and not just another marketing tool. The same goes with destination displays. I despair of companies that use the destination display to repeat marketing information already displayed on or below the windscreen (Nottingham CT has a habit of using "Free Wi-Fi" as a destination. I don't know where it is, but a lot of NCT buses go there; YourBus have lots of buses going from Nottingham to "Students £1"). Anyway, enough ranting about non-Plymouth area issues. I really must go to work, and I shall work on a sensible response to the good points being raised by all. As a driver i think route numbers and letters can be used in different forms .The only problem comes when route numbers overlap from different operators.In Sheffield there is a First 44 local route and a Stagecoach route that goes to Chesterfield sometimes you do get odd passenger lost. In Basingstoke Stagecoach have a route to Newbury called The Link. Around West Yorkshire,all areas have there own set of numbers for most routes (0-99 for Leeds,100-199/400-499 Wakefield/Pontefract/Castleford,200-299 North Kirklees,300-399 South Kirklees,500-599 Calderdale,600-699 Bradford,700-799 Keighley,900-999 Rural Routes) & it does work,Say if your in Huddersfield (South Kirklees) & want a bus To calderdale,alot of people will just say,anybus that`s number starts with 5. The only problem is that in areas due to competition you do end up with some random letter`s added - one route around Huddersfield once had 3 companys running with each having a variation on the same number (you ended up with 324/A/B/C) all on same route! I Feel sorry for the people of chester that have 3 different route 1`s all going completely different places & use stops near to each other,i would not be surprised if some people have ended up on the wrong 1! But don't forget Yorkshire Traction overlapped the Wakefield and Pontefract areas with the Barnsley area of South Yorkshire PTE and many of the 200 series numbers were created for YTC to be common across the boundary so there was no internal conflict. Huddersfield depot had a mix of 200/400 numbers as they ran towards both Barnsley and Wakefield. That is why at West Riding/Yorkshire Woollen we had a mix of 200 and 400 numbers to avoid duplication. However shortly after Stagecoach took over Yorkshire Traction, they decided to remove 200/400 from their route numbers and run with only the last two digits, after which the numbering system evolved away from any resemblance to the old 200/400 series numbers. Interestingly though that despite many years of changes since the area numbers were introduced in West Yorkshire (1974 onwards) the major operators continue to maintain the PTE series with some numbers like the Leeds - Bradford 72 being unchanged since the 1930's. Ken ex West Riding and now in Dorset. It is a shame to loose the historic WN route numbers to Tavistock and Dartmouth, but more significantly the 1 and 2 selected for Tavistock and Mount Batten respectively, are already used by SC SW. (Exeter to Tiverton and Exeter to Newton Abbot via Dawlish). If a unified 'Devon' network is to be created, it seems odd to duplicate route numbers for the purposes of route maps, timetables, web pages etc. Presumably it is thought Plymouth and Exeter are far enough apart to avoid confusion. The fact that there will be a Stagecoach route 1 in Exeter and another in Plymouth is entirely irrelevant. It only matters that Stagecoach themselves have a means of differentiating the two across their own internal records and processes (you sometimes see how they do it on tickets). 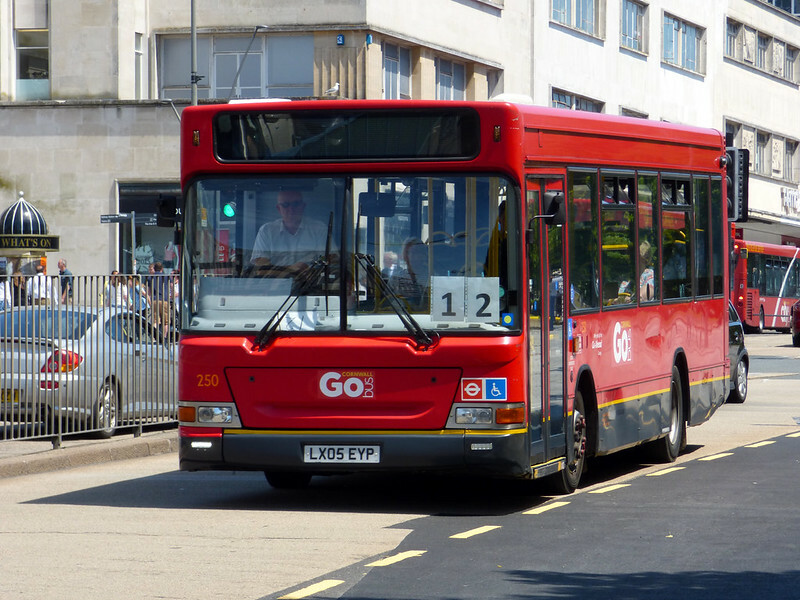 First have a route 1 in Plymouth and another in Penzance - does it matter? Does it cause confusion? No. Previously they had a third route 1 in North Devon as well. Few people will be aware or care. It only seems to matter to enthusiasts. I'd be surprised if any Plymothians will travel to Exeter and catch a bus to Cullompton (or vice-versa). Back in the 70s when Western National OC renumbered everything in seperate ranges across counties, it can't surely have been done to assist passengers, it had to have been done because it was easier for the Company to administer, presumably alongside the infant computer systems that were starting to appear. Typical 1960s/1970s big company thinking, which had changed completely by the mid 1980s when smaller companies were seen as better, more localised, more reactive and so much more emphasis was given to marketing and branding. The South West-wide numbers were quickly discarded, although it's interesting that a few remain for tendered routes. Stagecoach Devon actually uses a good range of options. For example: A, B, F2, Z (Exeter City); Red, Blue, Gold; 5/A/B/C, but also 55/155 (both Exeter to Barnstaple); 10/A/B/H, 325 Devon bus contract, 910 school contract, to quote a few. X46 and X64 are confusing? Guernsey is unusual in using 11, 21, 31, 41 etc with variants as 12, 22, 32, etc. Xelabus prefix every route with X. Similar numbers, codes, colours for a common direction or a common type of service is helpful and memorable, but it doesn’t really matter what. Western Greyhound stuck to their 500 series, but even with some renumbering along the way, the bigger they got the more difficult it became to find new numbers that were not just random. A reference back to history may give an advantage, but who actually remembers? If Stagecoach want something new, then why not use new numbers. 100 plus staff are to made redundant at First Plymouth, thanks Stagecoach! Perhaps if you were actually interested in running Plymouth buses it could have been different. What a waste of time! Sad and disappointing though it is, exactly what's the alternative? First can't make it pay, they tried to sell it two years ago and no-one was interested, not even Stagecoach back then. So at least some jobs are preserved. Interesting to see that VOSA shows some of the new Plymouth routes as being revised from the middle of September, only two weeks in. What's that all about? The whole thing does seem rather odd. The must be a minimum size operationally to make the costs of running Plymouth depot viable and one has to assume that First had reached that level and gone below it. Stagecoach running less buses must make the spread of overheads rather high proportionately for each route that is retained. Just the sheer size of the depot will make it pretty expensive to run. Stagecoach won't need posh buses... not with the pathetic, non existent network they propose to run. How to make yourself popular from the start. With the news coming out today, I think they may start day 1 with no services at all, . Hopefully the RMT will give them what the deserve, with widespread strikes on the day of launch!... Go back to Exeter Stagecoach and let someoine who cares run the services. At least First tried even when they were loosing monet! However, what were First's options? They may well have simply made everyone redundant. Fact is, the operations have been losing money heavily and that's why First are divesting and why Stagecoach aren't registering a comprehensive network. Do you expect ANY operator to continue losing money and if First can't succeed how do you think Stagecoach can register the same network with a different result. The fact would seem to be that Plymouth has been over provided for some time and any form of rationalisation is bound to be unpopular. How anyone can believe that any form of industrial action can be helpful beggars belief. Grim times for First and its staff. Also, with their withdrawal from Bracknell, whole chunks of the area are going to be left without any bus service. I'm beginning to wonder just how much longer they'll hang on in Cornwall. I could've sworn that they had just got rid of their major competitor in Cornwall, and were taking on a new depot to help operate the vastly increased number of services that they now enjoy a virtual monopoly on. I know a bit about the Bracknell situation, and that assertion is not true. Firstly, some of the work is transferring to nearby Slough, which First have no intention of closing. Secondly, the busy route 90 between Bracknell and Reading has been bought out by Reading Buses, who are also taking on around 20 of the drivers. Thirdly, Courtney Buses has registered improvements to their own Bracknell services which were competing with First routes, so there is no part of the town that will not still have a bus service. Stagecoach has also stepped in and registered the 94 (Bracknell-Camberley) from Saturday 29th August, the day after First finally pulls out. There is one route that has not yet been registered commercially, the 191 between Bracknell and Windsor. It is possible that Bracknell Forest Council and/or Windsor & Maidenhead Council may step in with a subsidy for this route. I agree with previous comments made that Plymouth cannot sustain two operators. Perhaps one reason for Stagecoach making their move but not registering any services into Cornwall is the announcement this week that Cornwall Council will be able to franchise all their bus service network from 2018 with a trial area as early as April 2016. Given the reluctance of Stagecoach to partake in city region franchising in the north of England and First walking away from franchising in London it will be very interesting to see what the Local Authority run bus network will look like in 2018 and who will win it. With Stagecoach having a depot on the boundary it does potentially give them a base for a springboard into Cornwall as well as a facility to maintain buses from both Devon and any future Cornish operations.